Construction underway for JC Smith Green Infrastructure! Construction began last week on the JC Smith green infrastructure (GI) project located at 338 Peat Street in Syracuse consisting of a porous asphalt lot, and streetside bioretention areas. 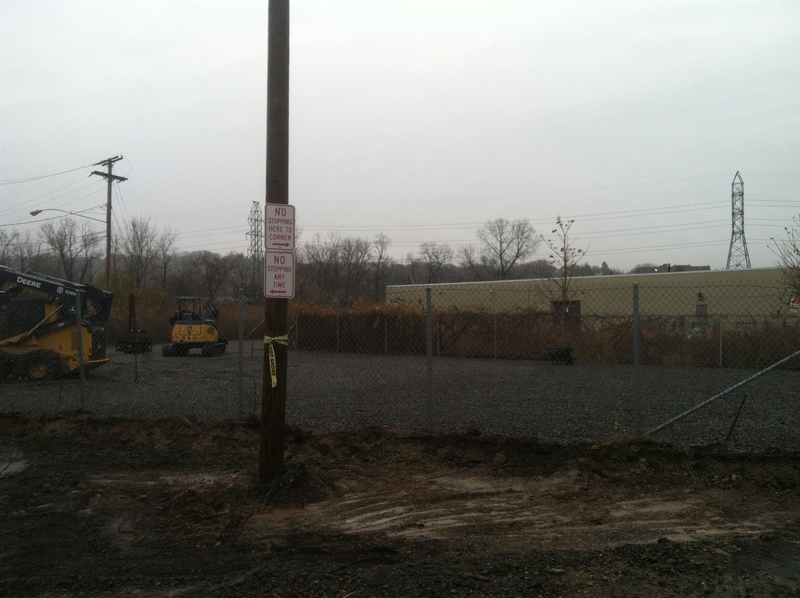 The porous asphalt lot will manage stormwater that formerly ran off the impervious storage lot, The bioretention areas will manage runoff from Peat Street and the Canal Street Extension. See photos below. The project is funded by Onondaga County’s Save the Rain program and Natural Systems Engineering, worked constructively with the City of Syracuse to address sewer connection issues given the constraints of the County’s award and the owner’s budget for the project. Construction by J & J Landscaping of East Syracuse. JC Smith Porous Lot Stone Infiltration Basin with Bioretention Excavation in Foreground. This entry was posted in Green Infrastructure, Porous pavement, Stormwater Management and tagged bioretention, Central New York, Combined sewer overflows, engineering, green infrastructure, green stormwater infrastructure, infiltration, New York, Onondaga County, permeable pavement, Porous Asphalt, porous pavement, stormwater, Syracuse on November 18, 2014 by admin.